9x12, xxxiii + 256 pp. 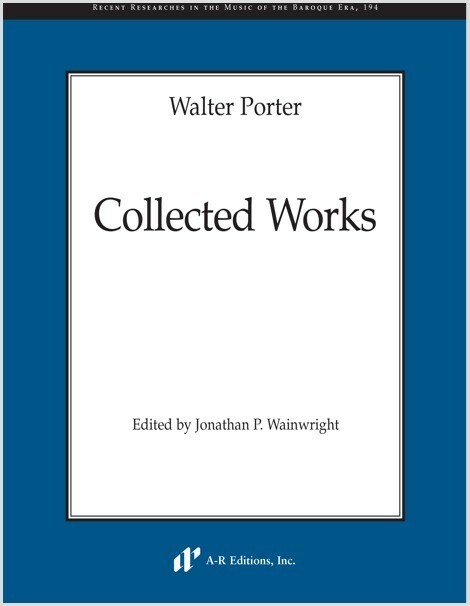 This volume brings together, for the first time in a critical edition, the complete works of the English composer Walter Porter (ca. 1587/ca. 1595–1659). One of a small number of English composers from the first half of the seventeenth century who embraced “progressive” Italianate methods of composition, Porter is further worthy of mention in histories of music for two reasons: he was the composer of the last book of English madrigals, and he claimed to have been the pupil of Claudio Monteverdi. His works survive primarily in two printed collections: Madrigales and Ayres (1632) and Mottets of Two Voyces (1657). Six of the 1657 Mottets also appear in York Minster Library, MS M. 5/1–3(S). One strophic song and three catches may also be attributed to Walter Porter and are included in an appendix. Instrumental parts are available as a separate purchase. Digital prints and paper offprints are also available.